These tires improved the ride, the old tire were 7 years old and maybe were getting hard. The tires exceeded my expectations. At highway speeds the tires are very quite and smooth. I'm glad I did and will definitely buy again. "I will buy this tire again and again"
This is my 2nd time buying these tires. Very pleased. They have awesome tread depth new and wear great even for heavy duty use. I tow all the time usually with less than ideal conditions. These tires have not disappointed me yet. The price is crazy good along with the quality. I purchased originally based on reviews and the results speak for themselves. If your on the fence to buy I say it's worth the try for the price. It's worth it ! 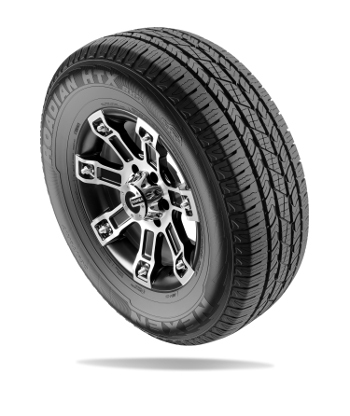 "Fantastic bargain on a great all-terrain tire!" The headline says it all - for an all-terrain tire, it performs well on dry or wet roads, and the tread pattern is ideal for snow/mud/dirt with large lugs as well as sidewall lugs for the ultimate in traction. I was surprised to find an OEM tire size for my Yukon with these traits and couldn't be happier. Looking forward to putting the tire through it's paces in the Northeast Pennsylvania snow this winter! Tires are quiet on the road as well, which was surprising to me for an all-terrain tire, and comfort is fine. Steering response and control is also excellent. Looking forward to seeing how many miles I can get out of them! 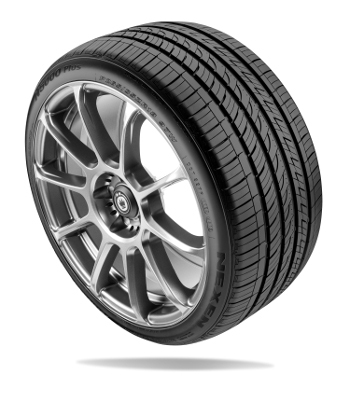 Don't wait - if you're considering this tire, get it and save money without compromising anything. "I bought this product again"
I bought these tires 3 to 4 years ago and just bought them again today for my 08 Silverado. These are great all around quiet tires. My son has bought the same tires twice for his SS Trailblazer and obviously loves them as I do. I highly recommend these tires. "A world of difference (better all around)"
After mulling over several options for new tires for my vehicle, I opted for the Nexens. 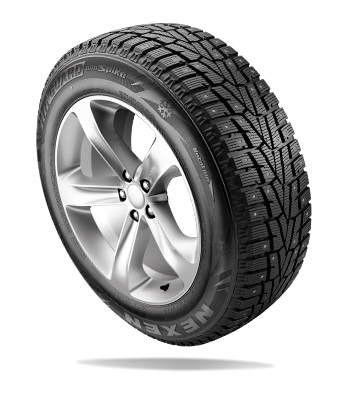 I've used Nexen tires in the past and have always been pleased with the performance, wear, quietness, and more. 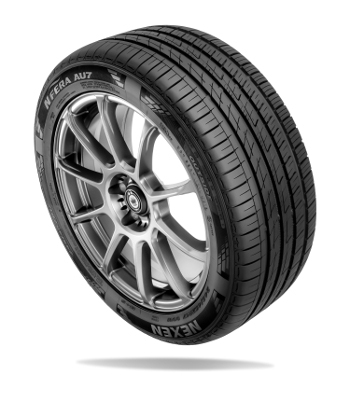 This latest purchase just reiterates what great tires Nexens are... and for the price, one would be hard-pressed to justify buying something else. 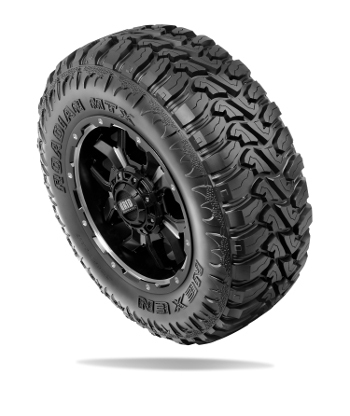 From what I've seen on the market, I don't know of any other tire that comes even close to Nexens on the cost/performance ratio. Some may say they are a 'cheap Korean tire', but if you know anything about South Korea, they are now a powerhouse of technology and (today) build some impressive vehicles. I think they can make a good tire... and Nexen proves they do. As a quick reference, these replaced some worn Toyos... they were roughly 80% worn, making incredibly loud road noise. These new Nexen tires are whisper-quiet at cruising speed on a nicely paved road. Perfect. WOW! What an impressive product. First of all, the fisrt impression after examining the product upon arrival was that the photos don't do enough justice. The tread design, the profile and the overall dimensions of the product produce an overwelming impression. I have a luxury SUV on 24" deep dish rims and I have to say that after installation, I was even more impressed. With the 11/32nd tread depth, although these are 35 profiles,, the tires are much beefier than my previous tires ( Kuhmo Esta STX) and so far peforms much better for a significant better value. Sometimes we as consumers get caught up with thewell known name brands and forget that technological advances have extended to other companies who desire to produce a comparable product to compete. All in all, the comfort and control of my Escalade now looks and feels like a premium luxury SUV should feel. Bottom line is that after reading many reviews from many different sites, tirebuyer.com not only has by far the lowest prices, but also their association with highly reputable installation shop as well as ridiculously expedited shipping ( my tires arrived the next day after ordering after business hours); I not only recommend these awesome tires, but also tirebuyer.com as my only source for tires both now and future purchases. "A great tire at a great price"
Just been running these tires for about a month, but they seem to be a very well built solid tire. So far I have been very pleased with them. Tire Buyer had them to me in just a couple days with free shipping. It is a great tire at a great price. Tire Shopped for months until I finally decided to give these Nexens a try. First things first... I upgraded from 16" wheels to 18" wheels on my car. For the price, these tires are not bad at all. My car is strictly a highway commuter to work, to the tune of 460 miles a week. I wanted something that would go through rain, light snow and occasional sleet, freezing rain and maybe ice. I also wanted something that I could get some mileage out of since I put alot of miles on the car. Again, for the price, these Nexens are working just fine. They are quiet, have handled rain well, and feel pretty stable on the road. I cannot comment on winter weather yet since I just got them a month ago. I replaced both my front and rear suspension parts on the car before the tires went on. Then the car was aligned afterwards. So I hope to get close to the 65,000 mileage warranty on them. I am happy with them so far. While they are not Michelins or Goodyears, they are doing just fine. I was really close to buying the Cooper RS3A but the $40 a tire price difference couldn't be justified at the time. 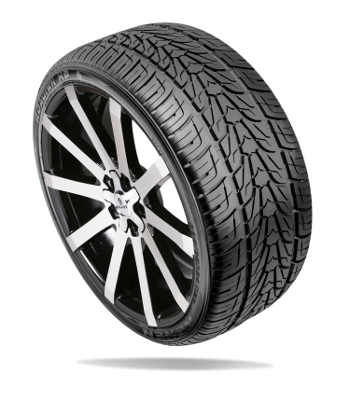 If you are looking for an ultra high performance all season tire, and not a high performance summer tire, definitely give these Nexen N5000 Plus tires a look. "Smother ride, quite ride!!! Love them!!'" I can't believe how smooth the ride. Quieter!!! Best tire for snow! Will not buy another brand ever again, this tire makes Canadian winter looks like child's play. The thread pattern is so aggressive, it never slides with my dricing. "Saved money and still great performance"
Replaced my worn out Michelins with these to save some money. Survived rain and my daughter's driving so I say thumbs up. "You want grip? You got it!" I use these tires on my time attack 370z in the street class. 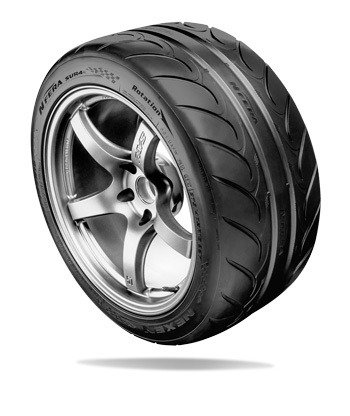 These tires are right on par with bridgestone re-71r's. I will be running these tires for the duration of the season and next. They stick like glue! "The Beast of the Wind"
This tire, not only completed my marriage, but simply gave me the best possible off road ability I could ask for. Lately, me and my wife have been fighting over who has the best mud tires. I simply ignore her when she claims that the Mastercraft MXT tires are better,(she knows nothing). The Nexen MTX are just fantastic! She even agreed that they are superior. Would buy again! We noticed you are using an outdated browser, Internet Explorer. As a result, elements including Tire Finder and Dealer Finder of this site will not function properly. For the best experience, please download and install a supported browser.